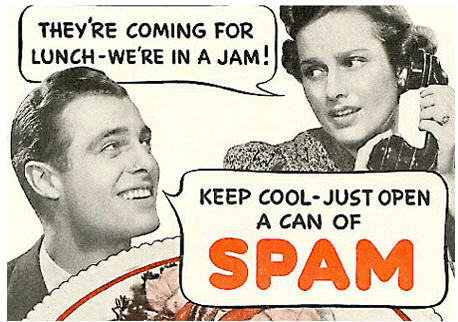 Recently I read a report on the prevalence of spam (i.e. unsolicited or non-opted in email) and recent spam trends. 9 out of 10 e-mail messages are still unsolicited. 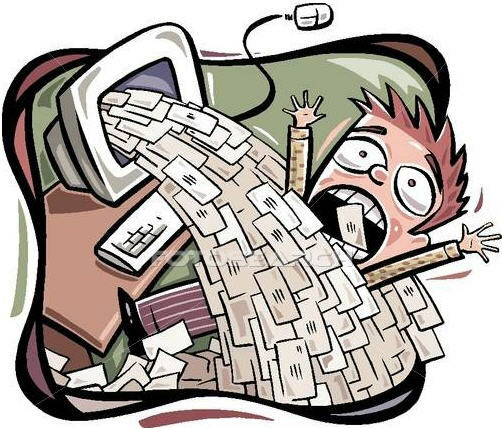 In June 2009, the average e-mail account received more than 100 spam messages per day. A recent 3,000-person e-mail survey found nearly half of people continue to click on these messages, even if they know spam is a problem. There’s some evidence that social networks, like Twitter and Facebook, are "easy targets" for spammers. What can you do? The U.S. Department of Homeland Security has a Web page with tips for how people can reduce and avoid spam. However, the agency acknowledges that "you will probably not be able to eliminate it." Don't give your email address out arbitrarily. Check privacy policies before submitting your email address online. Be aware of options selected by default. Use filters - Many email programs offer filtering capabilities that allow you to block certain addresses or to only allow email from addresses on your contact list. Report messages as spam - Most email clients offer an option to report a message as spam or junk. If your has that option, take advantage of it. Reporting messages as spam or junk helps to train the mail filter so that the messages aren't delivered to your inbox. Don't follow links in spam messages - Some spam relies on generators that try variations of email addresses at certain domains. If you click a link within an email message or reply to a certain address, you are just confirming that your email address is valid. 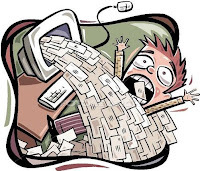 Disable the automatic downloading of graphics in HTML mail - Many spammers send HTML mail with a linked graphic file that is then used to track who opens the mail message—when your mail client downloads the graphic from their web server, they know you've opened the message. Disabling HTML mail entirely and viewing messages in plain text also prevents this problem. Consider opening an additional email account (like Gmail, Yahoo!, Hotmail etc. )- Many domains offer free email accounts. If you frequently submit your email address (for online shopping, signing up for services, or including it on something like a comment card), you may want to have a secondary email account to protect your primary email account from any spam that could be generated. You could also use this secondary account when posting to public mailing lists, social networking sites, blogs, and web forums. If the account start to fill up with spam, you can get rid of it and open a different one. Don't spam other people - Be a responsible and considerate user. Don’t forward spam. How much spam do you see on a daily basis?